Syrian air defences confronted a “hostile target” breaching the country’s airspace west of the capital Damascus, state media reported. The area is close to the country’s border with Lebanon. Saturday’s report suggested Israel was to blame for the incursion. 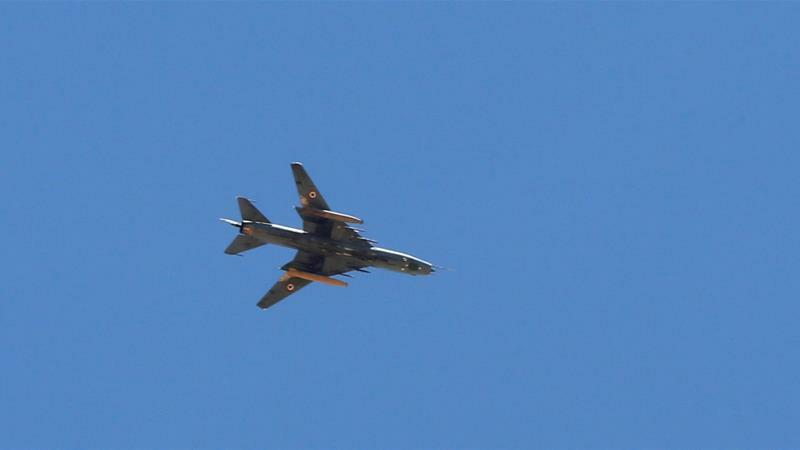 State news agency SANA said there were reports of “air defences confronting a hostile target breaching the skies above the area of Deir al-Asha’ir in the Damascus countryside”. The Syrian Observatory for Human Rights confirmed air defences launched missiles. The Britain-based war monitor said Lebanon’s Hezbollah militia, which has backed the Damascus government in Syria’s seven-year civil war, was present in the area. Israel is concerned that Iran’s growing presence in Syria poses a threat to its security.